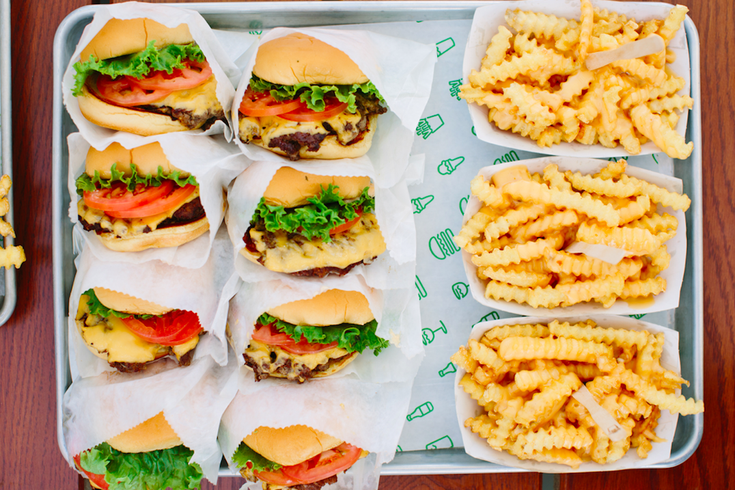 Soon, you'll be able to get your Shake Shack fix in South Jersey. The eatery serving burgers, hot dogs, fries and custard – plus, beer and wine – will open at The Marlton Commons, a shopping center in Marlton, N.J.
RELATED: Sam Hunt to perform beach concert at Jersey shore this summer | It's March Cheese Madness at Di Bruno Bros. The official opening date is Thursday, March 22. The first 100 people in line when the doors open at 11 a.m. will receive a complimentary Pie Oh My Concrete, featuring vanilla custard and a slice of pie from Jersey's Cake Stand Bakery. There's also an opportunity to attend a soft opening the day before, between 11 a.m. and 7 p.m. Make sure to RSVP to attend. All proceeds from the soft opening will be donated to Shake Shack community partner, The Food Bank of South Jersey. The Marlton location will be Shack Shack's first in South Jersey and fifth location in the state.